The Folly was an existing and very plain 300m2 1950s style detached house set in almost two hectares of beautiful West Sussex woodland, on the sloping edge of the South Downs. 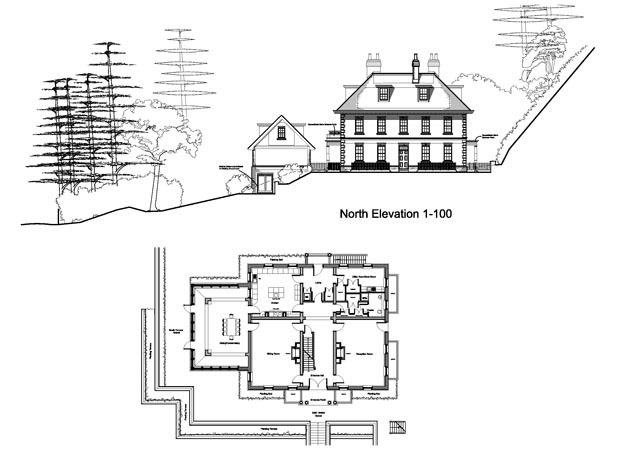 The house has been in the same ownership for many years and the brief was to provide a substantial country house for the family, to replace the existing, in keeping with the strong historic ties of the Georgian period in the area and to maximise both natural daylight and potentially stunning long distant views across The Downs. 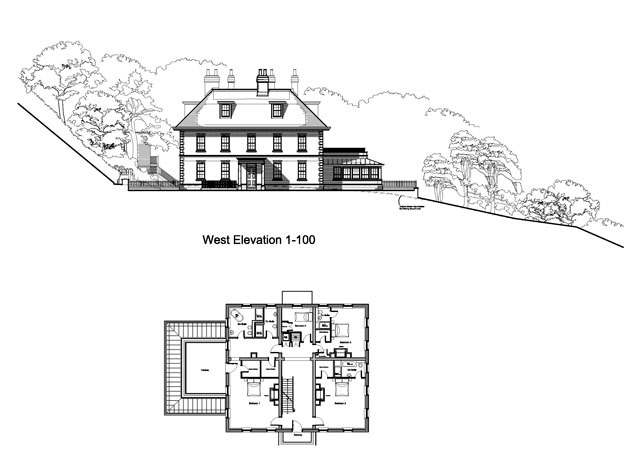 The solution is a three storey period country house with substantial cellars and a total area in excess of 1000m2. Built traditionally of brick and a deep pitched roof of hand made tiles, great attention has been given to every detail of this seven bay house with its large vertical sash windows, that will flood the spacious interiors with natural daylight. From the upper floors, the careful orientation will provide views of the South Downs from all the principle rooms. The high point is the small terrace set in a roof well above the top floor, with its staircase access. From this eerie the views extend for over fifteen miles to the south and west. 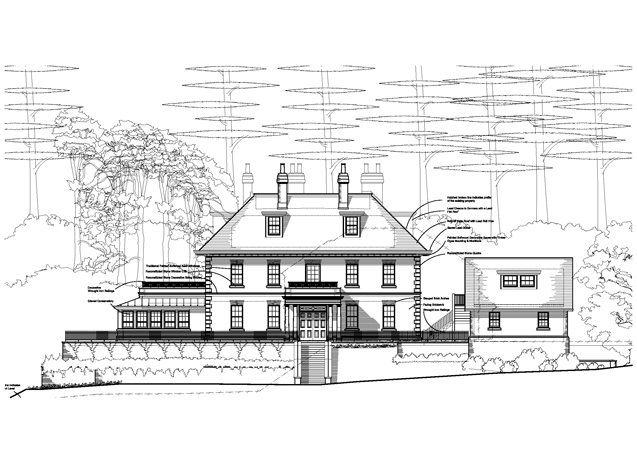 The seclusion of the site, hidden as it is in the wooded slope, will keep even this large house hidden from all outside views, whilst at the same time providing a new country house of physical and visual significance and substance in a wonderfully picturesque setting.